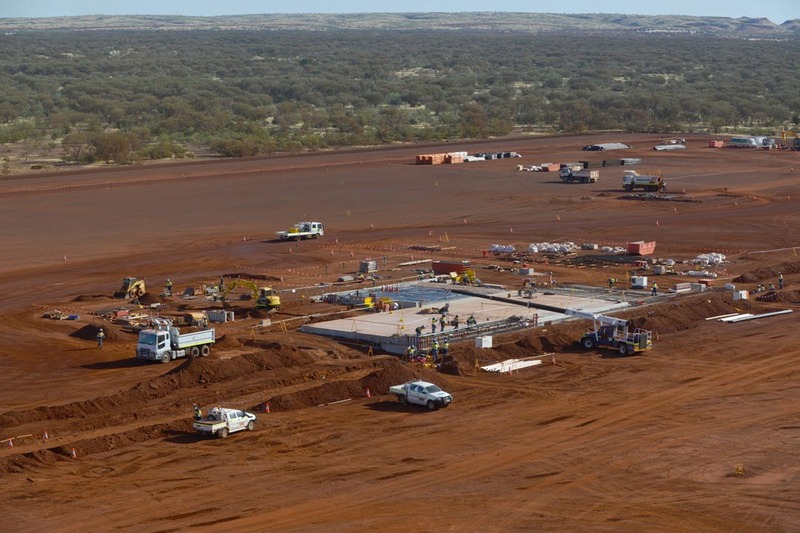 Engaged by Brookfield Multiplex, Centrals scope included the complete civil works associated with the Non Processing Infrastructure located at Roy Hill Mine Site. These areas included the Boilermaker Workshop, HV/ LV Workshop, HV and LV Wash-down Facility, Tyre Change Facilities, Bulk Lube Farm, Go-line Buildings, Administration Buildings and other smaller stores and facilities. Total building area under construction is 20,823 square metres. Provision of geotechnical testing and reporting sufficient for earthworks, road works and foundation design applicable to the SOW. Survey and set out the works to the lines, design levels and grid reference details. Excavate for trenching, foundations, footings, pits and services including placement of appropriate bedding, backfill and compaction as required. Backfill of trenches must be to specifications, particularly giving due consideration to trenches under roads. This includes all required ducting for all services (electrical, communications, fuel, water, drainage, etc.). 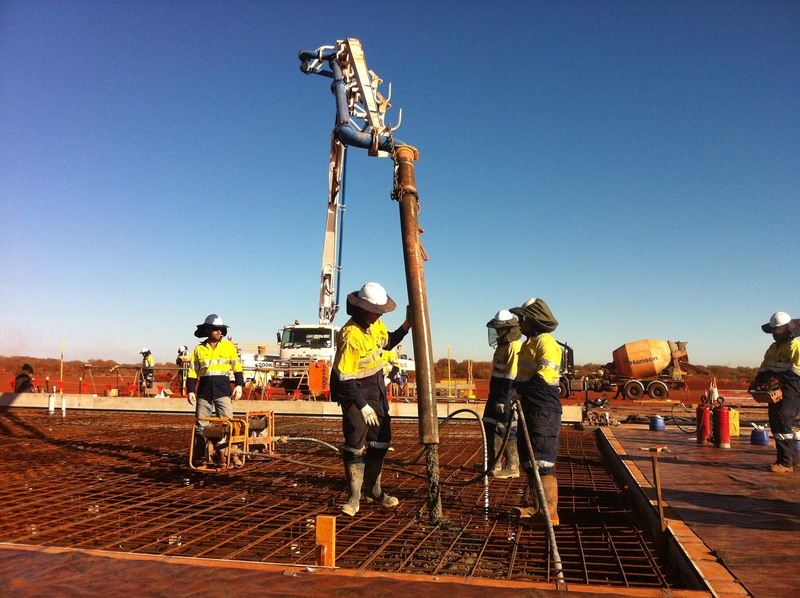 Construction of all concrete foundations, anchors, footings and pads. 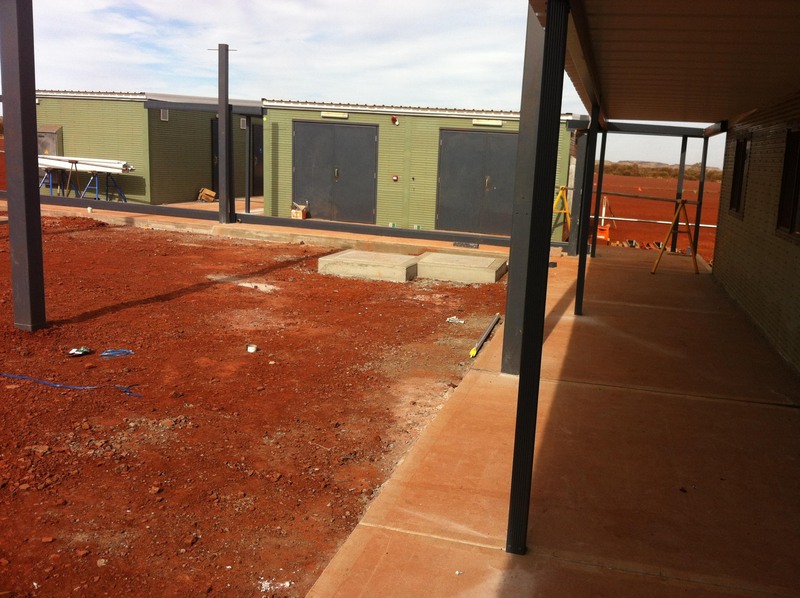 Concrete plinths and footings for electrical switchboards, distribution boards and lighting poles. Culverts for pipeline road crossings. Vehicle collision protection (bollards & Armco railing where required). Removal prior to practical completion of all temporary access roads, ramps, drains, earthworks and fencing that were required for construction.